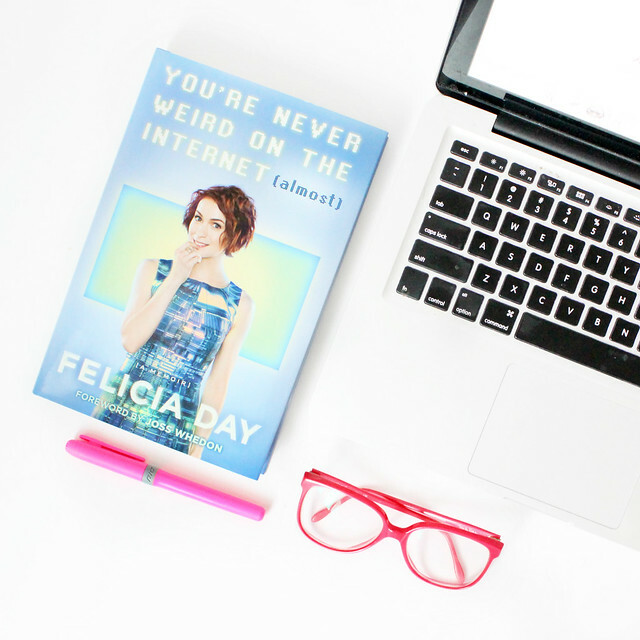 This month's selection is...You're Never Weird on the Internet by Felicia Day. I'm going to be honest with you. This book was 100% recommended to me by a friend (but he's a good friend who knows all about boss babes, so I trust him! ), so that does mean I'm not fully versed on exactly what the book is about. However, I am a big fan of the author Felicia Day. As a big nerd, I've loved seeing the way she has pioneered in the "geek industry" as a female. Felicia Day has had a crazy ride in the entertainment world. She went from a no name actress to the queen of a geek empire, selling out entire convention centers at Comic Con. You're Never Weird on the Internet is her memoir and talks about her struggles and rise to the top! She is certainly a (geeky) boss babe in my opinion! Here is the Amazon synopsis! Felicia’s rags-to-riches rise to internet fame launched her career as one of the most influential creators in new media. Ever candid, she opens up about the rough patches along the way, recounting battles with writer’s block, a full-blown gaming addiction, severe anxiety and depression—and how she reinvented herself when overachieving became overwhelming.